As teachers we all know how totally stressed our jobs can be. We have demands from students, parents, coworkers, and admin on a daily basis. I know many of us do our best to try and eat healthy, exercise and drink as much water as possible during the day. I try to eat as much organic produce as possible, avoid carbs and sugars, but let's be honest, when its report card week and we have papers and conferences up to our eye balls, that doesn't always happen. I'm always looking for other alternatives to continue my healthy lifestyle and remain calm, cool and collected. At Christmas time, my sister bought me a diffuser for my home and as a homemade Christmas gift made me three bottles of essential oils blends. One was called Healthy. It contained Thieves essential oil which helps you to keep colds and flu at bay. Another was called Calm which helps to take the stress away when the going gets tough. The third was called Fun which just, well, smells happy. It made me start to think about our needs as teachers to maintain balance, and I began to research a company called Young Living. They appealed to me because they monitor everything they do from the time the SEED is planted on the farm to the SEAL of the jar. Everything is monitored and tested for purity. At first I was like meh.. seriously, it's OILS, but then I went to Marshall's and I started SMELLING some of the oils sold there. I'm not saying there is anything wrong with them, but I could smell the difference in the oils from Young Living, they were cleaner, and stronger, and well, that appealed to me, so that's what I went with. Since then I've been looking up different ways I can use the oils to promote a healthier environment for myself and my family. I bought a starter kit which gave me a second diffuser for my home as well as 11 essential oils that I could combine in various ways to help relieve stress, help me sleep better, build up my immune system, help with sore muscles, aches and pains, and use to keep my home fresh and clean. 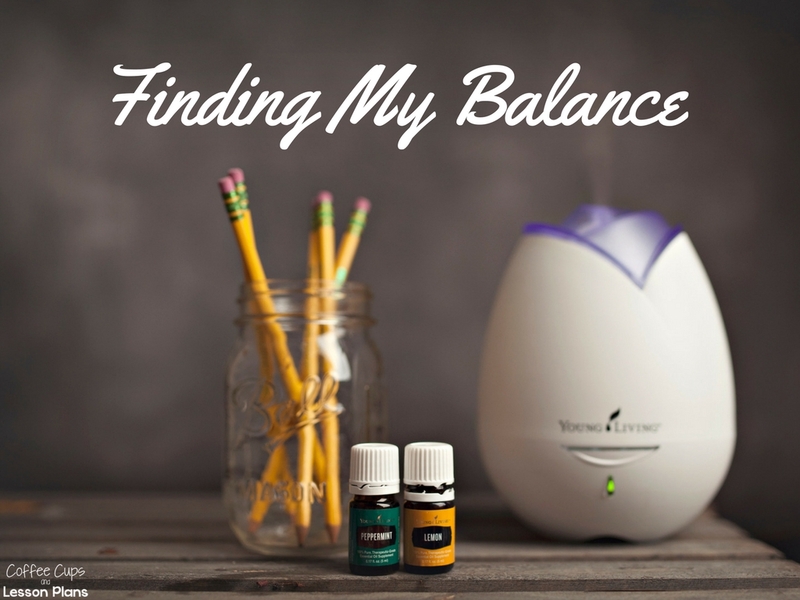 Using the kit I've also found a much better balance using essential oils in my daily routine. I've created blends and used oils to help me with stress relief, dark circles under my eyes, grow my fine hair, and to cook with! My daughter has used products at softball that have helped her sore muscles after games, and we have gone the entire cold/flu season with literally a ONE DAY stint with not feeling well. I wanted to take some time and just share that I was beginning this journey, and I was wondering if there were other teachers out there who use essential oils? 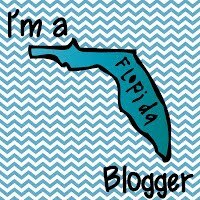 My goal is to share what I have figured out in a blog post once or twice a month, and maybe this will help you as a teacher find more balance in your life. 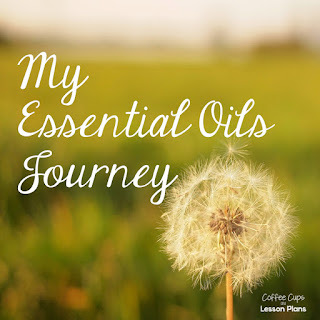 If you have found something amazing to use, please share with me in the comments below, and we can together find out more information about using essential oils. I'm intrigued about essential oils. 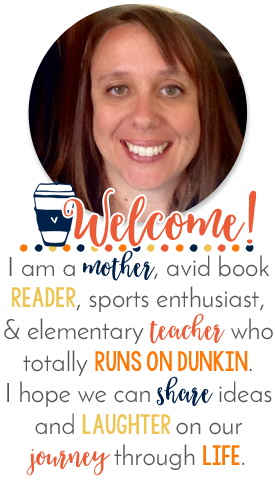 I can't wait to read more about how you use them!